Why Should You Choose Longtailpro? How Is LongTailPro Different From Other Keyword Tools? KWFinder – How Does It Perform Traditional Keyword Research? How Is KWFinder Able To Make Such Comparative Analysis? 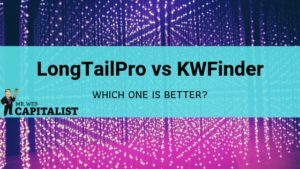 LongTailPro Vs KWFinder – Which One Is Better? In this review we’ll take a look at two important marketing tools that will help simplify your keywords research. Whatever business you’re into online you need to use the right keywords especially if you’re involved in search engine marketing. The tools we’re going to talk about are LongTailPro and KWFinder. We’ll walk through what these keywords tools are capable of doing and then show the difference between them. We’ll also share how they’re useful to internet marketers. But before we start revealing the features of these tools we’ll first share why keyword research is important to every online marketing campaign. Whatever niche you’re in, if you want to generate a lot of traffic and start making a serious profit online you need to have a solid foundation, and it all starts with keyword research. Most bloggers and internet marketers just go ahead and add content on their website without utilizing the proper keywords and hence they receive little to no traffic at all. As a matter of fact if your website isn’t receiving any traffic the first thing you want to check is your keywords. Find out whether the keywords your pages are optimized for are receiving traffic or not. And the only way to find out is by using an effective keyword tool. Keyword research isn’t only useful when you’re using search engines for traffic. 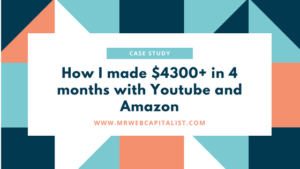 It also applies to other marketing channels like Amazon, EBay, Craigslist, Shopify and many more websites. 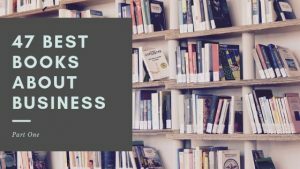 Keyword research can be tricky but once you have the right tools and know how to make your research you’re definitely going to make a lot of leads for your business. A good keyword tool will analyze different metrics and reveal to you whether a keyword is profitable or not. Most keyword tools will reveal the competitiveness of a keyword and then analyze it on a scale of 1-100 so that they can show you the easiest keywords to rank. You don’t need to worry about keyword research if all you want is your friends and family to visit your website. Keywords will determine the type of people that will visit your website and will also determine the amount of traffic you can potentially get from the search engines especially Google. 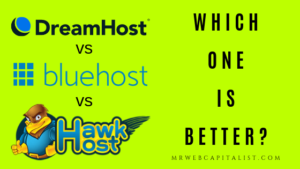 Analyzing the competition is a must if you want massive traffic for your website. You don’t want to target short keywords like “home business” and expect to rank your new page for that keyword. You can apply all the SEO tricks you have learned from the world best SEO experts but you’re not going near the first page of any search engine for that keyword. Why? 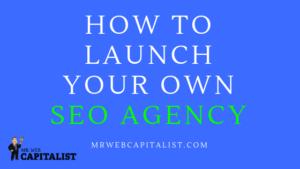 Because there are a lot of powerful authority websites that exist right from the birth of the internet such as national newspapers, job search websites…and the list goes on. That’s what keyword tools do for you; they show keywords to avoid even if they’re receiving massive searches. If You’re Launching A New Site What’s The Way Out? Instead of targeting short keywords with lots of searches and at the same time with lots of competition from powerful websites you should search for long term keywords. This is exactly what LongTailPro and KWFinder do, they present you with long keywords that have less competition. 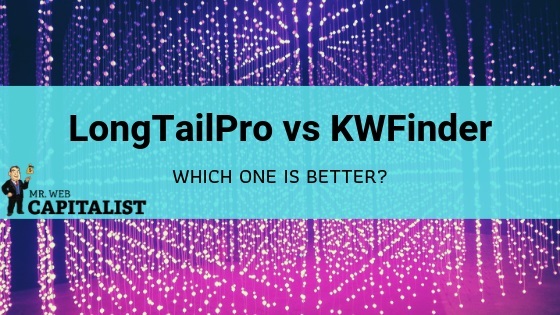 LongTailPro and KWFinder help you find out the keywords that have a higher chance of winning the first page for search engines especially the 1st, 2nd and 3rd. 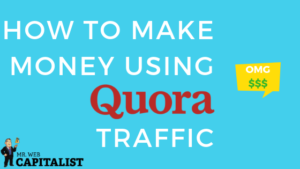 This is where the traffic comes in and if your site isn’t there then you’re not going to benefit much from search engine traffic. Right from the name of the tool you’ll sense that it will give you long tail keywords that are very easy to rank. LongTailPro is a very powerful SEO and marketing tool that will help you conduct an effective keyword research for your marketing campaigns. LongTailPro is a unique software that’s capable of generating hundreds to thousands of profitable keywords after analyzing a lot of pages; this can be done in a matter of seconds. All you have to do is enter the root keyword and then specify some parameters if needed and it will give you comprehensive list of long tail keywords that are easier to rank. Finding profitable long tail keywords wasn’t easy until the arrival of LongTailPro that simplifies the task for webmasters. 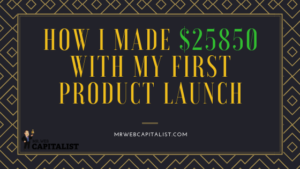 This is a must use software for affiliate marketers that are looking for ways to maximize their traffic and income online. This powerful tool was created by Spencer Haws. Spencer have been in the internet marketing industry for almost 15 years, he knows a lot on how the internet marketing game is played. He has developed and ranked hundreds websites utilizing long tail keywords and that’s how he came up with the idea of building LongTailPro. 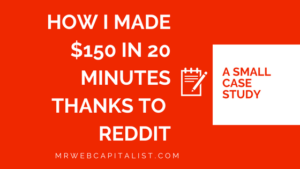 Just like any other successful person, Spencer has failed a lot trying to rank dozens of keywords and eventually got frustrated before arriving at the right methods of getting the best results when it comes to choosing and ranking keywords. After making a lot of research he came up with the idea of LongTailPro which is now considered by most the best keyword tool. LongTailPro is effective software for generating profitable keywords for your online marketing campaigns. That’s a little bit about the software and its founder. Find out the difficulty of any keyword. Instead of doing the task manually LongTailPro will do all the comparison and the calculations on any given keyword and then show the level of difficulty for ranking your keywords. It will analyze all the pages on the first page and determine the authority of websites that are ranking for that keyword. If there are authority websites or aged domains it will let you know that it’s difficult to rank the keyword. Instead of searching manually in the search engines to find out the websites ranking for any given keyword and then decide whether to choose the keyword or not, LongTailPro saves you all the time to do this manual task. It comes with advanced filtering features. When it comes to keyword research everyone has their metrics. LongTailPro allows users to filter the results based on their own metrics so that they only chose keywords they believe are the best for them. But with that said LongTailPro will make a lot of recommendations for you based on the comparison it has made and show you profitable keywords. Let’s dig deeper and see the features of LongTailPro and how it can help your online business. 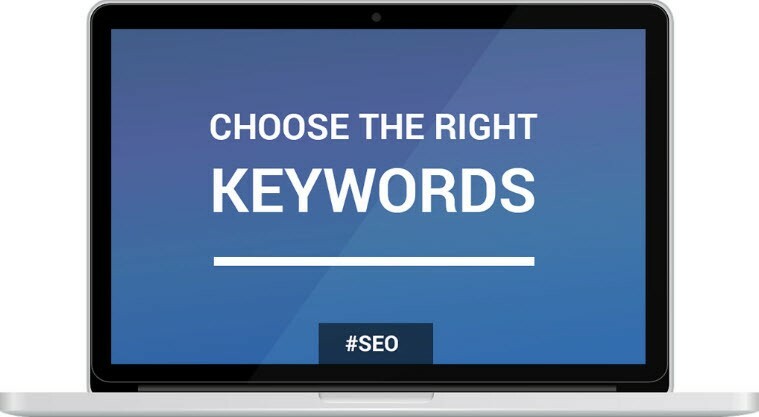 You just need to type only one single keyword and you’ll receive 1000s of unique long tail keywords in a matter of seconds. When you get the list of generated keywords you can filter them based on your preferences such as rank value, search volume, CPC bid and many more options. Not only that you can also check what keywords your competitors are using and what’s working for them. LongTailPro is a real time saver because you have the ability to spy on other websites and find the best keywords that produces results. The best way to find the right keywords is to wait for your competitors do the trial and error and when they find keywords that work best for them you can then spy on them using this powerful keyword tool. LongTailPro doesn’t only give you keyword suggestions, it gives you keywords that are proven to work. If you already have your own list of keywords you can still use LongTailPro to find out some important metrics of such keywords before using them on your website. With LongTailPro you can input up to 1000 keywords at once and view their metrics and performance. Most keyword tools out there are complex in nature and can be time consuming but with LongTailPro everything is simplified for you. When you type your keyword you’ll receive hundreds of suggestions that are proven to work. The possibilities are endless when working LongTailPro and that’s why you need it to perform your keyword research. The interface is user-friendly. You can toggle between the settings page and the results you generate. By pointing your mouse you can see a brief summary of what each feature is all about. In short you can work around with the interface the way you want without going through any complex procedure. LongTailPro is so simple that you can figure out how to use it especially if you have worked with keyword tools in the past. But if you still need to be trained, you have access to instructional videos that will show you how to use the software. There are series of “how-to-videos” that will show you how the tool can be utilized. LongTailPro comprises of three modules. The first module is for keyword research, the second is about competitor analysis and the last module is the rank checker. These three set of modules will ensure that you get the best recommendation for any keyword feed you add to LongTailPro. You’ll be able to find profitable keywords. You can analyze your own URLs and how your site or competitor website is doing for any keyword you want. You can analyze your competitors to see the keywords they’re using and which aren’t yielding any results. With LongTailPro your investment is protected. If you’re not happy with the tool you can ask for a full refund within 60 days of purchase. You can hardly find this offer from other competitors. The best you can get is 7-30 days money back guarantee. LongTailPro know that they’re providing the best tool in the market and hence they’re offering up to 60 days money back guarantee for their customers. LongTailPro is a tool that’s risk free to try if you’re the type that really worries about investing in a keyword tool. Almost every tool out there has its own cons and LongTailPro isn’t perfect either. When it comes to any keyword tool the more data it has to collect for a search the slower it’s going to be when collecting information about any keyword. LongTailPro also follows this trend. If you want to pull a long list you should expect to wait a little bit before getting the results. This is so because LongTailPro has to make a lot of analysis by comparing a lot of websites and determine only the most profitable keywords for your search. 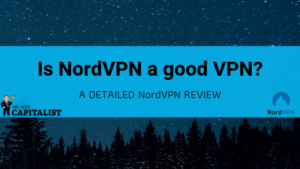 So if you want a long list you should consider leaving the tool to run while you’re doing other tasks on your pc or any outdoor activity you might want to do. This downside isn’t something new because every effective keyword tool out there takes some to process the results. But with that said the speed of LongTailPro is something that needs to be improved. That’s the major complain that’s been received from most LongTailPro users. But beside that LongTailPro has all the features you’re looking for in any keyword tool. It’s worthy giving it a try since you’re backed by 60 days money back guarantee. Whatever business you’re into online you can benefit from LongTailPro. 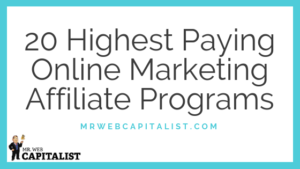 You can benefit from the tool if you’re involved in affiliate marketing, such as promoting ClickBank products, JVZoo products, building niche sites or if you’re just blogging about anything. You have to find the right keywords that are easier to rank without spending much out of your pocket for SEO optimization. LongTailPro can give keywords that can be optimized without spending much on SEO. Long term keywords don’t require much off-page SEO optimization. When you do your on-page SEO optimization well you can easily rank for these long tail keywords. Subscribe to LongTailPro and see what it can do for your business! You first need to create an account on the LongTailPro official website. Once you have an account you then download and install the app on your PC. You’ll receive all the information you need to install the software. Whenever you want to make a research you have to create a project for it. Every campaign you want to run you should consider creating a separate project so that you can save it for later use. To create a project there is a plus sign on the screen which when clicked will slide a floating window, you add your project details and that’s it, you’re good to go. To begin your research you don’t need to necessarily add a feed keyword, there is of course option for that but you just need to add your website URL and it will give you results based on the keywords found on your website. The fun part of LongTailPro is there are a lot of options you can use to refine your results. You can set the option to get keyword data from a specific country. By default it’s Google United States. This is important especially if you’re involved in local SEO where you need keywords for specific country. You can use the menu to change to any country you want. Once you choose the country you can add your keyword in the keyword field that’s available. To begin your search it’s good to use short phrases, this will give you more results. Even though your phrases are short, LongTailPro will give you with long tail keywords suggestions only. You add up five keywords, they should be related to each other though, for example; “work from home”, “working from home”, “work at home”… you know what I mean! You can also specify the number of suggestions you want for each keyword, but this also depends on the subscription plan you choose during signup. Monthly searches. This will sort out the results based on 30 days range. You can use this option if you want fresh and new keywords especially for new trending events. Suggested bids. This will filter results based on Google Ads bids. You’ll get keywords targeted by Adwords advertisers. Competition. You view results based on the level of competition it has. It sort the results based on the difficulty of the keyword. There are other options but these are some of the important options to choose as an online marketer. Once you specify all your parameters you can then click on “retrieve” to start getting keyword suggestions. Most keyword tools out there will just scrap keywords and give you accurate search information for each keyword and it’s up to you to pick the ones you believe will yield positive results. But LongTailPro goes beyond that to show you only the most profitable keywords. The major factors that separate LongTailPro from others is the keywords or phrases you’re presented with and the level of competition. This is very important for any keyword research. You want the best words combination that are targeted to your niche and you want competition analysis because you don’t want to compete with giant companies that are spending thousands of dollars on their SEO campaigns while you can’t even afford to spend a few hundreds. These are the main features of LongTailPro. It will help you spend your SEO budget on the right keywords. That’s why the tool only focuses on long tail keywords because they’re proven to rank with minimal effort in terms of money and time. 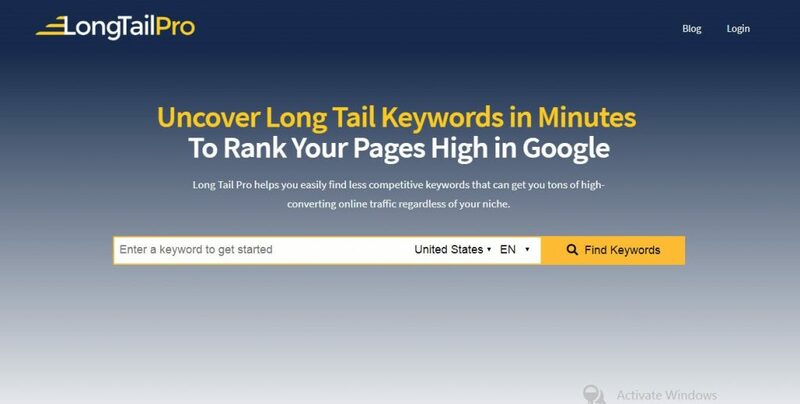 When using LongTailPro try to use long tail keywords with at least 4 words, this will help you acquire more traffic to your website with ease using the search engines. Picking long tail keywords isn’t the end of your keyword research – you have to determine the difficulty. There are some factors which you should consider to help you know whether a keyword is difficult to rank or not. 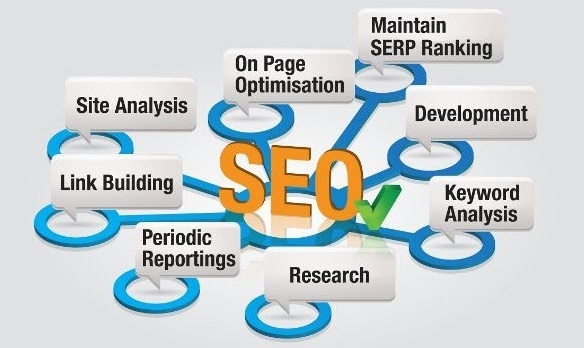 This all depends on the SEO optimization of your competitors. These are the pages that are claiming the first, second and third page of any search engine. You should consider all the on-page SEO optimization factors. Is it something you can implement on your page? Such as the length of the content and how keywords are been used on your competitors page. 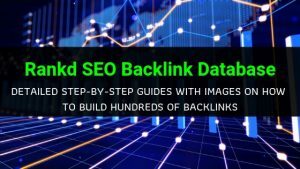 The quality of Backlinks for the pages you want to outrank, if they’re having a lot of Backlinks from authority websites you know that it’s going to cost you a lot in order to outrank them. As a rule of thumb, you should understand that before you outrank any page you have to do better than them when it comes SEO optimization especially link building. It plays a great role in ranking websites for any given keyword. Another factor that helps you determine the difficulty of a keyword is the age of the page or domain. It’s not going to be easy to outrank a web page that has existed for like 10 years and expect to outrank them overnight. If an aged domain name is ranking for your keyword you might want to reconsider choosing another keyword. To determine the level of difficulty for each keyword you have to make comparison against the factor mentioned above and that’s something that can take you days or if you’re hiring someone it’s going to take days to finish this analysis. But thankfully LongTailPro does all these comparisons within a few minutes on complete autopilot. The tool visits Google and find all the domains ranking for your keyword seeds and then checks the quality of these website to see if they can be outranked or not. When LongTailPro finish all the analysis it will then provide aggregate score for each keyword which represent the difficulty. If you want to see more on the level of difficulty for any given keyword you can click on it and view full information on that keyword on a new window. You’ll be able to see why a particular keyword is difficult and the type of websites that are ranking for such keywords. The starting price is $25 per month which allows tracking ranks for 30 keywords. 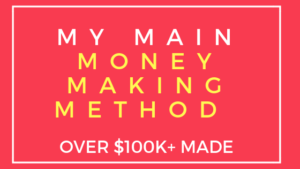 The medium package costs $45 per month and with this one you can track ranks for 200 keywords. If you are an individual with not too many websites, then this option should be enough for you. 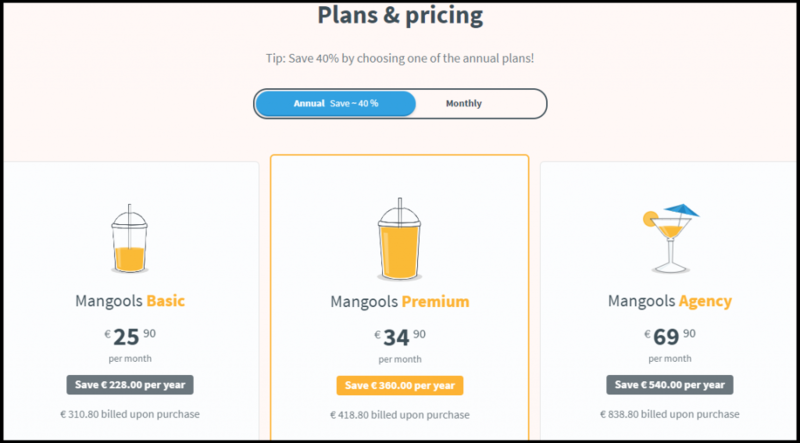 The Agency pack costs $98 per month and you can get up to 30% off for your first subscription. It allows tracking up to 1000 keywords. Next we’ll take a look at a tool that performs similar tasks as LongTailPro. They both pull out long tails keywords for webmasters with ease. This tool is none other than KWFinder. KWFinder is a very popular and modern keyword tool developed by the team Mangools. It’s another reliable tool anyone can use to come up with excellent keyword ideas for their online campaigns. One of the distinguished features of this tool is its simplicity and the strong focus on finding the right keywords. The design and functionality of the tool is loved by most webmasters and SEO experts. It doesn’t lack any major feature you can find in other keyword research tools. It comes with unique search options that most keywords tools lack. With just a single click you can view the difficulty of any given keyword. The interface of KWFinder is quite frankly impressive especially when compared to other tools. By traditional keyword research we mean typing your seed keywords and then getting multiple suggestions related to your seed keywords. This is how popular tools like Google planner work. KWFinder worksk much the same way but in the sense that it only shows relevant and long term keywords that are easier to rank. Just like LongTailPro it also makes a lot of analysis with pages that are ranking on the first page and then tells you whether a keyword is easy to rank or not based on the score that’s revealed to you. When you enter a seed keyword in KWFinder it will compare and evaluate the monthly search volume of the given keyword and total strength against all Google first page results. When you first enter the seed keyword it will generate a list of long tail keywords that are related to the seed keyword and will also include more results that are not exactly related to the main seed keyword but have the same meaning. This is like adding synonyms to your keyword suggestions. It will then check all the websites in Google SEARP and determine the level of difficulty for that keyword. Each keyword suggestion will come out with a score and can view a detailed explanation on why it’s not the right keyword to target. When the results are out you have the option to filter results by monthly searches or level of difficulty and other modifiers you might want to use. First, it will let you know the keywords to avoid and secondly it will find keywords from competitor pages to find out the keywords that have worked for them and are easier to rank. This means you can focus only on keywords that are proven to work with a small effort. All you have to do is to create similar and better content for your pages and within short time you’ll be able to acquire such rankings. Unlike LongTailPro, KWFinder doesn’t allow you to add URLs but it does all the work to make sure that it uses the top results on search engines and find out which keywords have a high chance of ranking on the first page. If you want to analyze your competitors URLs you have to add separate tool such as SEMRush to make the comparison for you. With SEMRush you can get a list of keywords your competitors are ranking for and also find out the sources of their Backlinks with just a few clicks. When you get your competitors keywords you can plug them into KWFinder so that you can get better suggestions that have a higher chance of ranking than your competitors. As mentioned earlier KWFinder comes with a clean interface that’s easy to use, it has a flat design that displays data in a convenient and digestible way. It’s the perfect tool for bloggers and SEO enthusiasts, both beginners and professionals. All the results will be shown to you in a way that you can understand what the figures and scores mean for your campaigns. When it comes to interface KWFinder is miles ahead of most keyword tools. It’s a very nice tool that’s enjoyable to use. You need accurate search volumes because you don’t want to use keywords with uncertainty. Google has recently changes the way they present search volumes and most tools haven’t adjusted to the trend. They end up giving false information to customers about search volumes. KWFinder offers the best and accurate information for any given keyword because their UI is ahead of other keyword tools. KWFinder of course pull out search volumes from Google keyword planner but it makes some adjustments in order to give you accurate data. After getting data from Google keyword planner they pass the information to their own algorithm so that they can maintain the same search volume for all the keywords. KWFinder is cloud-based software that can be accessed from any device. You don’t need to worry about installing the software on all your devices. When you log in you can access your campaign from any location. You also don’t have to worry about compatibility issues and updates. All keyword tools should work the same way because it’s more effective. As long as you have a web browser you can use KWFinder with ease. Another benefit is that most keyword tools will require you to open an Adwords account but KWFfinder doesn’t require all that lengthy process. Everything will work smoothly without the need of your Adwords personal account. The next amazing feature of KWFinder is the ability to find SEO ranking difficulty of any given keyword. A score is given to each keyword suggestion and you can know whether it’s worth optimizing or not. This is so far one of the most important feature of KWFinder because it’s ahead of the game when it comes to analyzing your competition. The level of difficulty represents how hard it is to rank first page for that particular keyword. Just like LongTailPro, it will visit all the pages on the first page and see the type of pages ranking for your keywords and also the type of Backlinks they have. It will then show the score so that you can decide whether to choose the keyword or not. This is a unique feature you’ll hardly find in the biggest players when it comes to keyword research. Most tools will only give you close related suggestions for your keyword but KWFinder goes beyond that to give a different set of keywords that can be useful for your campaign. That is the “questions” and “Autocomplete” feature that’s built-in a keyword finder. This gives you the ability to explore more options which you don’t even have in mind. By default, this is the option that’s pre-set when you launch the tool. With this option, KWFinder generate results just like most other keyword tools out there including Google keyword planner but have to apply its own algorithm to sort results. Then there is the Autocomplete feature which uses Google Autocomplete feature to give you long tail keywords that come from Google search suggestions. This is similar to the services offered by Ubersuggest, but in the case of KWFinder the searches are limited. For this feature most people prefer to use external tools such as Ubersuggest in order to get auto complete keyword suggestions. If you’re the type that loves writing headlines in the form of a question then you’ll love this feature. When you add your keyword and select this option you’ll get keyword suggestions like; what, where, how, which, whose and many more question type suggestions. Instead of spending a lot of time visiting question and answer sites like Quora, AnswerThePublic and Reddit, you can come up with lots of ideas using KWFinder. The main reason why people invest in keyword tools is that they want to find keywords that are easy to rank with minimal effort. And the best way to do this is through data aggregation. You’ll get all the data you need for a given keyword in one place allowing you to make the right decision when picking keywords. You have all the options you need to filter the results just like in any effective keyword tool. Even though this is nothing special because it’s a must feature for every keyword tool but still need to be mentioned. You can enable or disable filter options. A good customer service support is a must for any business that wants to stay longer in the business but still most software vendors don’t give attention to it. You’ll get all the support you need with KWFinder. You can contact support through email or their live chat support. Using the live support you should expect to get a response within a few minutes. This feature has been tested and there was a response from one of their staff within a minute. So if you have any issues with their services you can always have a piece of mind that your problem will be resolved very fast. Yes, there are some limitations for using this tool even after subscribing to their services. KWFinder works in a different way because it uses a “credit” system. This limits the number of requests you can make for a given time. So if you’re planning to use the tool frequently you want to make sure you choose the right plan that can cater your needs. But if you’re just casual user you won’t have problem with this credit system. The first package is the basic package that gives you access to 100 requests per day and it costs $25.90 per month. This is enough for someone that wants to make a few posts to their blog everyday but for someone that’s working on a lot of client work, you’ll hardly be satisfied. With the basic package you’ll hardly use the service for more than two hours daily. Even after exhausting you daily limit you can still search for keywords but you can’t evaluate your keywords properly. This means you won’t make any keyword analysis, you get only suggestions. But still, it’s better than other tools that will give you monthly limits which can be exhausted within a week like the Long Tail Platinum which is also cloud-based software. Premium package costs $34.90 per month and gives you access to 500 keyword lookups per day. It should be sufficient for an avid user. Agency package costs $69.90 and you get 1200 KW lookups per 24 hours. It has a gorgeous interface. So far they have the best interface when compared to the rest of the keyword tools we have. You can conduct your search in 3 different ways. Most keyword tools only give you suggestions and nothing other than that. But KWFinder give you the ability to use three different options namely, suggestions, Autocomplete and questions. You don’t need any external tool when you want to search in a different way. You’ll find all the information you need in one place such as trends and search volume. The difficulty score is by far better and more accurate than other keyword tools. The way the data is presented is easier to understand than their competitors. Their pricing is also more affordable than many keyword tools. This makes the tool ideal for individuals with a low budget. KWFinder doesn’t allow users to perform competitor research, for that you have to use other tools like SEMRush or Ahrefs. These are the only tools that are perfect to spy on your competitor pages with ease. Overall, KWFinder is a very user friendly tool with clean interface like no other keyword tool and you’ll be amazed with the quality of results. After taking a look at the two apps we can say that KWFinder is the most affordable and effective keyword tool available and you can rely on it if you’re not interested in analyzing your competitor websites. But if you want to spy on your competition deeply then LongTailPro is the best tool because it pulls out all the necessary information you need in order to outrank your competition. But when it comes getting the best data on your competition you might want to add SEMRush to your keyword tools collection. This will give you an extra edge to uncover all the information you need regarding your competitor’s SEO optimization.